I have no idea whether the white man I am writing about is still alive or not. He gave me an understanding of what actually happened to us Africans, and how sinister it was, when we were colonized. His name was Ronald Stanley Peters, Homicide Chief, Matabeleland, in what was at the time Rhodesia. He was the man in charge of the case they had against us, murder. I was one of a group of ANC/ZAPU guerillas that had infiltrated into the Wankie Game Reserve in 1967, and had been in action against elements of the Rhodesian African rifles (RAR), and the Rhodesian Light Infantry (RLI). We were now in the custody of the British South Africa Police (BSAP), the Rhodesian Police. I was the last to be captured in the group that was going to appear at the Salisbury (Harare) High Court on a charge of murder, 4 counts. Thirteen years later, in 1980, I went to Police Headquarters in Harare and asked where I could find Detective-Inspector Ronald Stanley Peters, retired maybe. President Robert Mugabe had become Prime Minster and had released all of us….common criminal and freedom-fighter. I was told by the white officer behind the counter that Inspector Peters had retired and now lived in Bulawayo. I asked to speak to him on the telephone. The officer dialed his number and explained why he was calling. I was given the phone, and spoke to the Superintendent, the rank he had retired on. We agreed to meet in two days time at his house at Matshe-amhlophe, a very up-market suburb in Bulawayo. I travelled to Bulawayo by train, and took a taxi from town to his home. I had last seen him at the Salisbury High Court after we had been sentenced to death by Justice L Lewis in 1967. His hair had greyed but he was still the tall policeman I had last seen in 1967. He smiled quietly at me and introduced me to his family, two grown up chaps and a daughter. Lastly came his wife, Doreen, a regal-looking Englishwoman. 'He is one of the chaps I bagged during my time in the Service. We sent him to the gallows but he is back and wants to see me, Doreen.' He smiled again and ushered me into his study. He offered me a drink, a scotch whisky I had not asked for, but enjoyed very much I must say. We spent some time on the small talk about the weather and the current news. 'I do not know Superintendent,' I replied truthfully. 'Like I have said, a man does not die before his time.' He poured me another drink and I became less tense. 'How did you plan to do that my dear Superintendent,' I mocked. 'Very simple, Mr. Bopela, very simple,' Peters told me. We were both silent for some time, I trying not to show how devastating this information was to me; Ron Peters maybe gloating. It was so true, yet so painful. In South Africa they had not only kept this information from us, they had also destroyed our education, so that when we won, we would still not have the skills we needed because we had been forbidden to become scientists and engineers. I did not feel any anger towards the man sitting opposite me, sipping a whisky. He was right. I shook hands with the Superintendent and boarded my taxi. I spent that night in Bulawayo at the YMCA, 9th Avenue. I slept deeply; I was mentally exhausted and spiritually devastated. I only had one consolation, a hope, however remote. I hoped that when the ANC came into power in South Africa, we would not do the things Ron Peters had said we would do. We would learn from the experiences of other African countries, maybe Ghana and Nigeria, and avoid coups d'etat and civil wars. In 2007 at Polokwane, we had full-blown power struggle between those who supported Thabo Mbeki and Zuma's supporters. Mbeki lost the fight and his admirers broke away to form Cope. The politics of individuals had started in the ANC. The ANC will be going to Maungaung in December to choose new leaders. Again, it is not about which government policy will be best for South Africa; foreign policy, economic, educational, or social policy. It is about Jacob Zuma, Kgalema Motlhante; it is about Fikile Mbalula or Gwede Mantashe. Secret meetings are reported to be happening, to plot the downfall of this politician and the rise of the other one. Why is it not about which leaders will best implement the Freedom Charter, the pivotal document? Is the contest over who will implement the Charter better? If it was about that, the struggle then would be over who can sort out the poverty, landlessness, unemployment, crime and education for the impoverished black masses. How then do we choose who the best leader would be if we do not even know who will implement which policies, and which policies are better than others? We go to Mangaung to wage a power struggle, period. President Zuma himself has admitted that 'in the broad church the ANC is,' there are those who now seek only power, wealth and success as individuals, not the nation. In Zimbabwe the fight between President Robert Mugabe and Morgan Tsvangirai has paralysed the country. The people of Zimbabwe, a highly-educated nation, are starving and work as garden and kitchen help in South Africa. 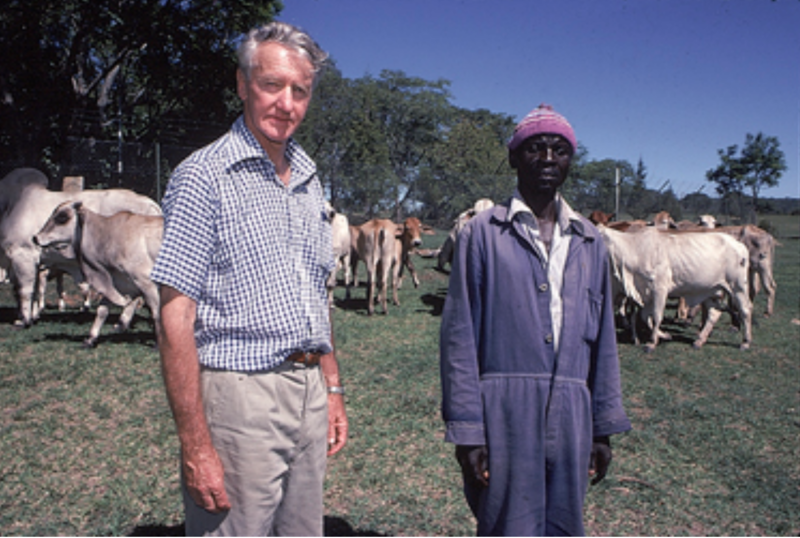 What the white man told me in Bulawayo in 1980 is happening right in front of my eyes. We have political power and are fighting over it, instead of consolidating it. We have an economy that is owned and controlled by them, and we are fighting over the crumbs falling from the white man's 'dining table'. The power struggle that raged among ANC leaders in the Western Cape cost the ANC that province, and the opposition is winning other municipalities where the ANC is squabbling instead of delivering. Is it too much to understand that the more we fight among ourselves the weaker we become, and the stronger the opposition becomes?